Happy new week! I hope you all had a wonderful, romantic, fun, sweet, valentines weekend! 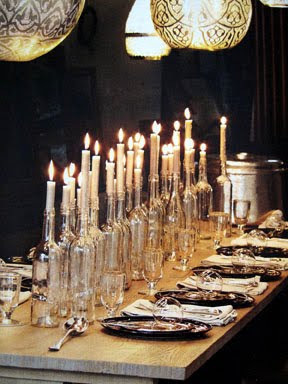 One of my readers asked me if I had any ideas on what to do with left over wine bottles and corks. We all have them, and I thought that there were probably more than one of your wondering what you could do with these items other than recycling them! So, here are a few ideas, let me know if you try one! 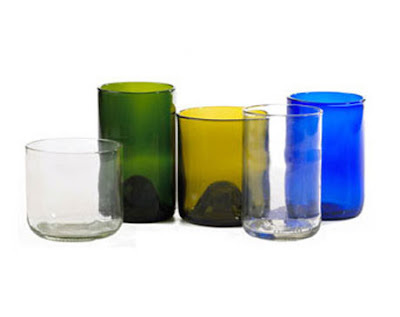 These are really kind of cool, and how fun would they be to use at a wine party or tasting for your other beverage offerings. I found this easy 3-step process that uses tea lights and cold water for cutting the bottle! 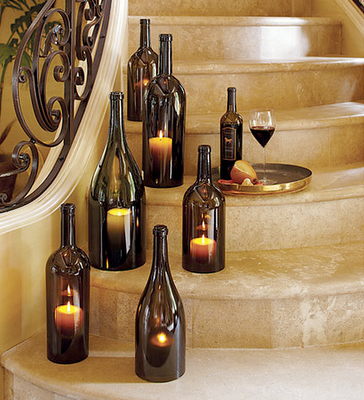 Using the same process from above, you could cut off the bottom of the bottle and make these pretty lanterns! Looks pretty simple. 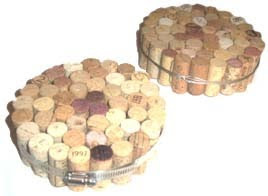 All you would need is a large clamp from the hardware store, and a little patience to carefully place the corks together. I have friends that did this, and they look great! Finally, one of my favorite center pieces. 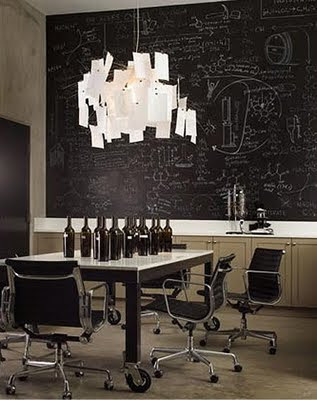 It's quite different, but really sets the mood! If you don't have perfect bottles, or want them to all look cohesive as one color, you could pick up some high lacquer spray paint from Home Depot and paint them to fit your desires!